A hurricane, a tragic death, two boys, one marble. How they intertwine is at the heart of this beautiful, poignant novel from a first-time novelist. When 10-year-old Zavion loses his home in Hurricane Katrina, he and his father are forced to flee to Baton Rouge. 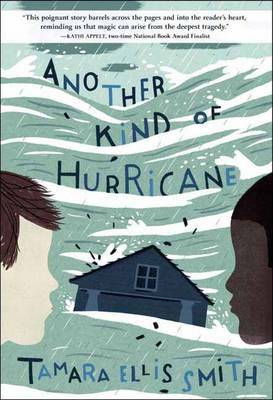 And when Henry, a 10-year-old boy in northern Vermont, loses his best friend Wayne tragically, he flees to ravaged New Orleans to help with Hurricane relief efforts--and to search for a marble that was in the pocket of a pair of jeans donated to the Red Cross. Rich with imagery, and crackling with hope, this is the unforgettable story of how lives intertwine in unexpected, even magical, ways.